It’s becoming easier and easier today to find a AK 47 with the made in the U. S. A. stamp on it. Back in 2008 there wasn’t much available in the marketplace other than imported rifles, most that had seen extensive use and abuse in Europe. America, having a love affair with the AR – 15 had not put much effort into designing or building our own version of the AK 47. The imports are still available, but now several manufacturers have begun to produce some rifles carrying the made in USA stamp. Inter-ordinance arms, or IO Inc. has been working on the AK 47 since around 2008. There wasn’t much on the market at that time, mostly poor quality Romanian 10 rifles, some home built stuff and expensive arsenal guns. The IO Inc. AK-47 has put an end to that. Every part of their AK-47 is made in the USA. They believe so strongly in their product they back every one of their AK’s with a limited lifetime warranty, “as long as you’re maintaining your firearm properly and using quality ammunition will take care of the rest.” eliminating the worry of whom will fix your firearm. Their guns are built on original Polish blueprints. These blueprints were the finest of Warsaw Pact small arms manufacturing. No more bent sites, shot out barrels, or imports manufactured on 60-year-old plus equipment in Europe. As the M247 – see rifle the I/O AK-47 is equipped with a bolt hold open, recoil buffer, and accepts all standard AK and RPK magazines from 30 to 75 rounds. 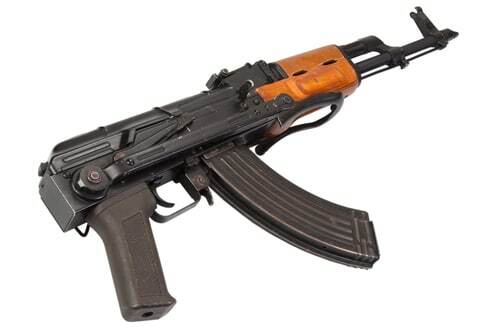 Inter-ordinance has taken the manufacture of AK-47s to a higher standard. There are many importers in the USA today. Palmetto State Arms is one of the larger importers of foreign arms. Their business is built on the Internet supplying arms they have purchased in bulk lots from Europe mainly. All of their firearms have to be shipped to a FFL dealer, and are graded by them as to their quality and condition. Their site is not “every day man” friendly. It is, on the other hand, and enormous encyclopedia of European made AK-47s and AK-47 pistols for sale. It is a great place if you’re in the market for an AK-47 to begin your search and see what’s available in the marketplace for imported arms. In century arms is also one of North America’s largest importers of surplus firearms and accessories. They’ve been in business over 50 years. In addition to surplus firearms they also carry newly manufactured firearms, ammunition, scopes and related accessories. Century arms enter the AK-47 market with their AK-47 that carries the made in USA stamp. If you are looking for a true 100% American AK-47 your search will end here. It is an admirable rifle right out of the box, and requires no modifications to survive just about anything you can throw at it. Taking into its price and availability, tinkering with the century AK-47 would be easy with the money left in your pocket compared to some of the prices I’ve seen on imports. If you’re looking for an AK-47 pistol for sale, this is your one stop shop. Their website is set up to serve FF L dealers as well, but will allow you to search out the AK-47 you want and order it through your favorite brick and mortar gun shop. The AK 47 has been around for over 60 years. Originally introduced in 1947, hence the 47 nomenclature, it has proven itself through time, use and abuse to be a reliable firearm. Own an AK-47? Own an American AK-47? Feel free to tell us your experiences! Kevin, We don’t supply magazines, but you can link to any of the websites we listed for information. Hey Buddy!, I found this information for you: "American Made AK 47". Here is the website link: https://thegunrights.com/american-made-ak-47/. Thank you.